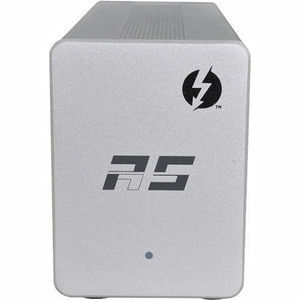 The RocketStor 6328 combines the features of hardware RAID solutions and Thunderbolt™ 2 PCIe expansion into a palm-sized adapter: ideal for compact/portable computing platforms! Host hardware RAID, SAS Expansion, SATA port Multiplier, and LTO Tape devices from a single adapter! For Mac Thunderbolt platforms and OS X 10.9.x and later. O.S. Support: Mac OS X 10.8.6 or greater and Windows 7 and 8. LTO Tape support requires OS X 10.9.x or later.